Location: St Columba’s Episcopal Church in Largs. 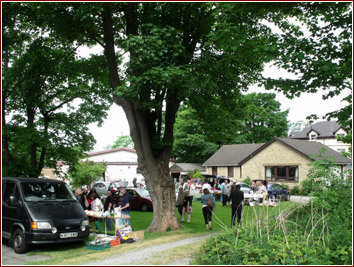 Our popular Car Boot Sale will be held in the church grounds with refreshments in the hall. Arrive 8.00am with your car and 9.00am if you are buying. Finishes at 1.00pm. Cars: £7 or £9 with a table. Vans: £11 or £13 with a table. Telephone: 01475 672410 or 01475 686546 for queries or bookings.